In 1979, they met in a church classroom early on Sunday mornings to pray. A small group of older men and women would gather, encouraging a group of students to join them as they interceded for Sunday services, church leaders, and lost souls. As the church grew and lives were changed, lessons were learned. Listening to their prayers, those students learned how to pray and call on God. I was one of those students. Those men and women had an effective prayer ministry! Model. Long before Jesus taught the disciples how to pray, He modeled a lifestyle of prayer (Mark 1:35). Similarly, you want to carefully examine your own prayer life before launching a prayer ministry. Do you have a daily time alone with God? Do you pray for the needs of others as well as your own? Do you seek God’s will in your decisions? Have you experienced and worked through some of the basic difficulties of prayer (e.g., dry spells and unanswered prayers)? Your experience with God will help fuel the interest of others in a prayer ministry. Discuss. Connect with your pastor and other church leaders to talk about your interest in launching a prayer ministry. Ask for their input and ideas. Listen carefully to their responses. If the church has a defined process for launching new ministry organizations, be sure to work as much as possible with the pastor and leaders to gain the support and approval of the new prayer ministry. If you encounter resistance from someone, exercise patience. Learn. Go to “school” on the subject of prayer: read books, attend conferences, and listen to messages. Build relationships with the praying men and women in your own church. Contact prayer leaders in other churches to learn what they are doing. Become a student. Corporate Prayer. Is your church known as a “house of prayer” (Matthew 21:13)? It ought to be. Somewhere in the life of every church there needs to be a time set aside strictly for prayer. If Wednesday night prayer meeting is really a Bible study (that people are enjoying), don’t feel like you need to change it. Set aside another time and dedicate it for prayer: a time anyone who needs to be prayed for can come and find the support they need. Small Group Prayer. Jesus is present when a small group prays together (Matthew 18:20). Faithful friends will pray for one another and the special needs of their church and community. Everyone in the church needs someone praying for them (Ephesians 6:18). 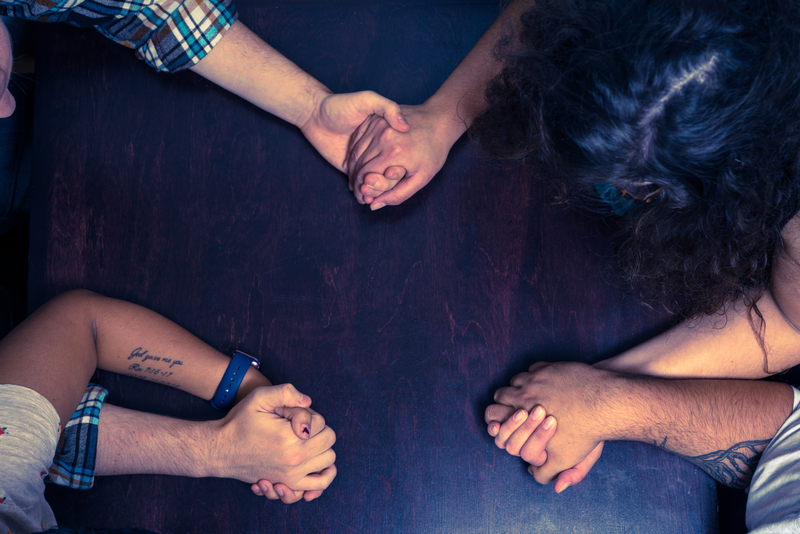 A small group prayer strategy will make sure that no one is left out. Individual Prayer. Many church members do not know how to spend time alone with God in a quiet time: they have never been taught. On a regular basis, offer churchwide opportunities to learn about an individual prayer life. Challenge church members to form a new daily prayer habit. Calendar. The launch of a new prayer ministry needs to be planned and coordinated with other churchwide events. Working with the existing church calendar, identify the dates for your regular prayer meetings, special events, and training classes. Allow ample advance notice so church members can plan their participation. Enlist. Who will join you in this effort? Identify specific men and women to help you lead and host the different parts of the new prayer ministry. Write out a brief job description for each role you are seeking to fill. Meet with each individual, sharing your passion and the specific tasks to be completed. As you assemble your team, be sure to meet with them on a regular basis for information and encouragement. Launch. Highlight the launch of a new prayer ministry with a special churchwide event or emphasis. Communicate the new prayer opportunities with announcements, signs, flyers, and church mail. Visit Bible Study classes and other church groups to discuss the prayer ministry launch. Be brief, but enthusiastic. Support. Working with your leaders, plan a full year of activities and emphases. Meet with your leaders regularly to hear their needs and concerns. Pray with them and for them. Be a cheerleader. As you find new resources, secure copies and share them with your leaders. Although these eight principles represent the practical steps involved in launching a new prayer ministry, be assured that God will be working in ways you never dreamed or imagined (Ephesians 3:20). Some will be learning how to pray by witnessing the prayer life of others—that’s what happened to me. Others will form new friendships that will encourage them through dark and difficult periods in their lives. All will experience the mighty acts of God!